The Internal Revenue Service last week published its updated Priority Guidance list that signals which regulatory actions the tax agency considers the most pressing, and a provision of great importance to nonprofits still isn’t on the list. The tax law enacted in December imposes a 21-percent tax on nonprofit transportation benefits, such as transit passes and parking. Scores of organizations have submitted substantive comments to the government expressing confusion and raising questions about how the new taxes on nonprofit business operations and transportation benefits should be interpreted. Many more have submitted short statements to the IRS urging delay in implementation of the taxes until one year after the government promulgates Final Rules that provide needed clarity. TAKE ACTION: The failure by the IRS to acknowledge the significant costs, challenges, and confusion caused by the new law speaks volumes about the need for nonprofit advocacy on the issue. Join nonprofits, foundations, lawyers, associations, and many others in calling on Treasury and the IRS to delay new tax liabilities until the government provides clear guidance. Learn more at Taxing Tax Exempts and Other Oxymorons in the New Tax Law. Nonprofits, foundations, and individuals from across the country took advantage of the U.S. Census Bureau’s request for public input to express their views on the 2020 Census, including the Commerce Secretary’s plan to include a question asking whether individual respondents are citizens. The Leadership Conference Education Fund reports that its coalition generated about 250,000 comments from individuals and organizations opposing the citizenship question. More than 300 philanthropic leaders also joined together to urge the Census Bureau to “withdraw the citizenship question from the 2020 Census questionnaire because we believe it will significantly undermine efforts to achieve a fair and accurate census in 2020.” The National Council of Nonprofits and many others contend that including this question would lead to less federal funding to undercounted communities, create inaccurate demographic data on which businesses, governments, and nonprofits will base their decisions for a decade, and skew political power when districts are redrawn. 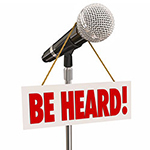 The public comment period closed on August 7; the Census Bureau must now review this input and make recommendations or offer responses to concerns. Several pending lawsuits challenge the inclusion of the citizenship question and the trials may be resolved in the coming months. SALT Workaround Regulations Due: Perhaps as early as today, the Treasury Department is expected to release proposed regulations to address the legality of new state laws that enable taxpayers to avoid the $10,000 cap on state and local taxes (SALT) enacted as part of the 2017 tax law. At issue is whether states can create tax provisions that permit residents to make donations to government-run nonprofits and treat the payments as a charitable donation for federal tax purposes. To date, three states –Connecticut, New Jersey, and New York – have set up such so-called “SALT workaround” laws. In May, the IRS announced it would be writing regulations on SALT workaround efforts, warning taxpayers that “federal law controls the proper characterization of payments for federal income purposes.” Scholars have noted, however, that states have been providing tax credits in exchange for charitable donations for many years, including other types of workaround schemes in more than half the states. Voluntary Return Preparer Program Upheld: An IRS program for voluntary training and certification for unenrolled tax return prepares may continue, according to a recent federal appeals court ruling. Under the program, the participants, including many nonprofits, are listed as approved tax return preparers on an IRS website, along with attorneys, CPAs, and enrolled agents. AICPA had brought the suit claiming the IRS lacked authority and had violated administrative procedure in adopting the program. The U.S. Supreme Court’s recent decision in South Dakota v. Wayfair, Inc. overturns precedent and makes clear that states have the power to impose taxes on entities beyond their borders. The decision allows states to collect sales taxes for online purchases of goods and services from sellers without a physical presence in the state. The case arose from a 2016 South Dakota law permitting state and local taxation on internet sales for vendors that made at least 200 transactions with or $100,000 in sales to residents. The State argued that an economic presence rather than a physical presence test should be recognized as legally sufficient. South Dakota was among 22 states to consider bills to tax out-of-state sales. Many states are reportedly re-evaluating their laws to tap into the estimated $13 billion to $26 billion in new tax revenues that could result from adopting Wayfair-approved laws. Michigan has announced it will require out-of-state companies to collect and remit a six-percent sales tax through an administrative requirement and groundwork laid in 2015. Legislators in Kansas and Louisiana introduced bills this year specifically citing Wayfair in anticipation of the ruling. The Kansas legislation failed, but the new Louisiana law broadened the definition of “dealers” to persons who met the same criteria as the South Dakota thresholds. Interestingly, the New Hampshire Governor called a special session to protect resident businesses from outside taxing authorities, but no bill was passed. Some states and sellers may look to Congress to set federal uniformity standards to avoid confusion across the country; however, states may choose to take action because Congress may not respond favorably or quickly to the ruling. The Wayfair decision could have significant implications for charitable nonprofits, as purchasers and sellers online. Nonprofits could also lose out in upcoming state tax reform legislation as states seek to adjust their laws to take full advantage of their newly recognized powers. States currently are not consistent in whether some or all nonprofits are exempt from sales taxes as purchasers and as sellers. As a result, the immediate impact of the decision is confusion about when, where, and how nonprofits should be paying and/or charging sales taxes. Legislatures that open up their sales tax laws for reforms can – whether intentionally or inadvertently – impose taxes on previously exempt nonprofits, as was the case earlier this year in Kentucky. It will be incumbent upon nonprofits to make sure their elected officials understand why charitable organizations are exempt from taxes. If state law currently requires charitable organizations to pay sales taxes, then the Wayfair decision may present an opportunity for nonprofits to bring the state in line with the majority of states that exempt nonprofits from paying or charging sales taxes. Montana’s voluntary work program for Medicaid recipients appears to be succeeding while bucking a new trend by states that are mandating a work requirement for benefits. The Montana program has provided employment services to more than 22,000 individuals in the state, 78 percent of whom have found jobs after completing the program. Governor Bullock announced, “While other states are pushing work requirements that have it backwards, we are putting more people to work with higher wages.” Five other states are interested in implementing similar programs that make the employment services available, but do not mandate that recipients of benefits work or volunteer with a nonprofit for a certain number of hours each month. On the mandated side of the issue, four states have received and eight more are awaiting approval to impose a work requirement in one or more of their public programs, an approach that has been promoted by the Trump Administration and the U.S. Department of Health and Human Services. Three organizations in Arkansas are suing the Trump Administration to stop work requirements attached to Medicaid. Enrollees reportedly are struggling to meet the requirement, with 30 percent not qualifying. The National Health Law Program, Legal Aid of Arkansas, and Southern Poverty Law Center filed the suit, arguing that the waiver does not meet Medicaid’s objective of providing healthcare to the poor. The lawsuit is similar to a so-far successful challenge in Kentucky, the first state to receive approval for the work requirement. This month in California, three legislative committees held a joint hearing focused on the upcoming 2020 Census, directing close attention to the roles that nonprofits, local government, and philanthropy can play in reaching hard-to-count individuals in the state. Jan Masaoka, CEO of CalNonprofits, explained at the hearing that nonprofits are obvious allies in the effort to secure a full, accurate, and complete census count because millions of Californians already rely on nonprofits every day, when they entrust their children to a nonprofit childcare center, get healthcare services at a local clinic, receive job skills training, or open the door to a Meals on Wheels volunteer. In Masaoka’s view, that existing level of trust means people will listen when nonprofits speak to them about the Census. Trust is essential for the decennial census in 2020, lawmakers heard, because of numerous impediments, such as the switch to a mostly online system and the possible inclusion of a citizenship question. Legislators and speakers discussed the importance of investing census outreach dollars in nonprofits serving as enumerators and providing support to rural communities to ensure an accurate count of all Californians. Watch the full hearing. Members of the Boston City Council complained at a public hearing this month that the city isn’t receiving enough voluntary payments from charitable nonprofits that are exempt from property taxes. The city received $33.6 million in voluntary cash contributions and $43.5 million in community benefits from charitable nonprofits under the “voluntary” payments in lieu of taxes (PILOTs) program created by the previous Mayor. Under the Commonwealth’s constitution and statutes, Boston has no power to tax the property of charitable organizations, such as cultural, health, and educational institutions. Nevertheless, city councilors at the hearing claimed that nonprofits must “pay their fair share” for public services, ignoring the facts presented that nonprofits make up only six percent of tax-exempt property in the city (the rest being occupied by government buildings and public space), and nearly two-thirds (63 percent) of nonprofits across Massachusetts report that governments fail to pay the full costs of services performed on behalf of the governments. In seeking money from nonprofits to fill budget gaps, local politicians frequently assert, without data, that half the property in the community is exempt from property taxes and charitable organizations are to “blame.” New maps in New Jersey prove the fallacy of the allegation. In the Garden State charitable nonprofits and houses of worship own a very small amount of tax-exempt property in townships. Amounts are determined by the property value of the charitable nonprofits and houses of worship compared to the property value of all tax-exempt property. Six of the 15 townships listed have charitable nonprofits and houses of worship making up less than five percent of the tax-exempt property in the township, and in five localities charitable nonprofits and houses of worship own less than 11 percent. The issue of property ownership plays out in the minds of policymakers in interesting ways. The City Council in Hendersonville, North Carolina is currently considering targeting charitable nonprofits and churches in the community by implementing a "voluntary" PILOT program to seek tax payments from their tax-exempt property. A public records request indicates tax-exempt properties in the city make up $404.5 million in value, yet the largest share of tax-exempt properties ($170 million) is occupied by federal, state, and local governments, not nonprofits. September 25 is National Voter Registration Day: What is your nonprofit doing about it? Nonprofits are key players in helping everyone have a voice in their own future, provided we operate on a strictly nonpartisan basis; meaning simply, charitable nonprofits may “not participate in … any political campaign on behalf of (or in opposition to) any candidate for public office.” What simple steps can your nonprofit take to help ensure that our democracy works? How about helping people register to vote? Nonprofit VOTE provides guidance on how nonprofits can help make sure that every citizen’s voice is heard in each election. Many state associations of nonprofits have been promoting nonpartisan voter registration and education activities. Read how important - and simple - it can be for your nonprofit to make an important contribution to strengthening our democracy, in this guest post from Nonprofit VOTE, originally published August 15 in Nonprofit Knowledge Matters. 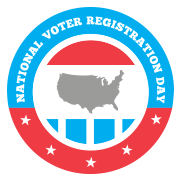 We encourage your nonprofit to sign up as an official partner of National Voter Registration Day on September 25 and host a nonpartisan voter registration drive. Registrants receive access to a communication toolkit, social media assets, checklists, factsheets, posters and stickers, and much more. To learn more about easy steps to joining and hosting your own event (big or small! ), check out the Planning for National Voter Registration Day webinar and sign up today! It is part of the culture of the nonprofit community to come to the defense of individuals, organizations, and causes that are unfairly attacked or maligned. Often, the news media, which share our First Amendment protections of free assembly and free speech, take up the call by nonprofits for justice and aid in speaking truth to power. So it is fitting to dedicate this edition of Advocacy in Action to the actions taken last week by editorial boards across America in upholding the integrity of journalists as they defend their First Amendment freedoms. The Globe also posted similar editorials by hundreds of newspapers, from papers large and small, liberal and conservative. We note that the Nonprofit Quarterly’s editorial was particularly poignant. Not all major newspapers followed the Globe’s lead; while agreeing in substance, several insisted on displaying their own independence. - Gary B. King, an avowed “Christ Follower and Biblicist,” writing in The Religious Liberty Task Force, Christian Concepts, August 18, 2018, making clear his view that the Johnson Amendment protecting nonprofit nonpartisanship is fully compatible with religious speech. - Lee Sherman, CEO of the National Human Services Assembly, writing in Lawmakers, Ask Human-Service Experts About New Approaches on Federal Programs, Chronicle of Philanthropy (password protected), August 15, 2018, explaining substantive and philosophical objections to proposed consolidation of the federal departments and agencies announced in June, that includes renaming of the Department of Health and Human Services as the Department of Health and Public Welfare. - Jeff Shaw, Director of Public Policy & Advocacy, CT Community Nonprofit Alliance, writing in an Action Alert to Connecticut nonprofits, August 15 2018, urging readers to reach out to candidates for public office in the state to congratulate them on primary victories and “inviting all of them to tour your facility to meet your staff, Board and the people you serve.” The CT Alliance provides nonpartisan template messages to the candidates of all parties. "There is no statute of limitations on bad ideas." - Michael Graetz of Columbia Law School and former Treasury Department official in the George H.W. Bush administration, quoted in Pressing ahead on disclosure, Bernie Becker, Politico Pro (premium), August 10, 2018, referring to the Trump Administration’s consideration of a plan to unilaterally index capital gains to inflation, rather than calling on Congress to amend the tax law. John Oliver Confronts Fake Grassroots Movements on Last Week Tonight, Taking the Fight to 'Astroturfers' (18:33) (rated TV MA), on HBO and posted by Time Magazine, August 13, 2018, providing a humorous take on the significant problem to the nonprofit sector of advocacy interests creating nonprofit front organizations to give the appearance of grassroots support for narrow special interests. Meeting with Policymakers: (Back) Home Edition (webinar recording), National Council of Nonprofits, sharing why meeting with policymakers in their states/districts is easy and effective, and offering three steps for planning and conducting a successful meeting. The number of fully accredited land trusts in the United states, protecting nearly 20 million acres of land. Accredited groups collectively protect more land for the benefit of their communities than the size of Denali, Yellowstone, Grand Canyon, Glacier, Everglades and Yosemite national parks combined. Source: Conservation with Distinction List Swells to 400, Land Trust Accreditation Commission News & Updates, August 2, 2018.